Hudson County is home to a beautiful County park system that is always improving. From picnic areas to playgrounds, and sports courts to walking paths, Hudson County preserves the environment and provides a wonderful place for outdoor activities. Our parks are also home to a wide range of recreational activities for residents including Summer Movies in the Park, Yoga in the Park and even Gardening Classes. For more on Parks in the County, check out the Hudson County Division of Parks. Fore! 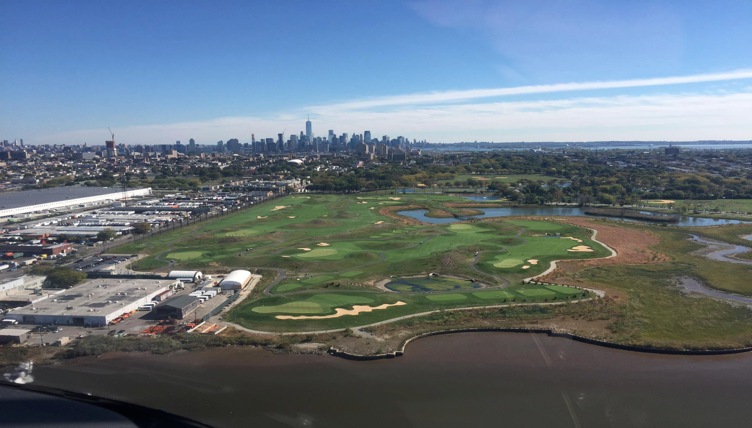 Hudson County is home to Skyway Golf Course at Lincoln Park West in Jersey City. Since its opening in June 2015, Skyway Golf has become one of the best public golf courses in the area featuring 9 challenging championship holes including 3 par fives, 3 par fours and 3 par threes totaling 3,200 yards. Hudson County residents can purchase a County Resident Card which allow residents to book tee times in advance of non-residents as well as the preferred County Resident rate. For more information and to book tee times online, visit Skyway Golf Course at Lincoln Park West.